Intel R 7 Series/C216 Chipset Family USB Enhanced Host Controller - 1E2D is a USB Universal Serial Bus device. This driver was developed by Intel. PCI/VEN_8086&DEV_1E2D is the matching hardware id of this device. 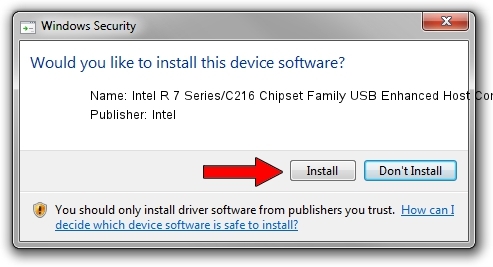 You can download from the link below the driver setup file for the Intel Intel R 7 Series/C216 Chipset Family USB Enhanced Host Controller - 1E2D driver. The archive contains version 9.3.0.1024 released on 2012-09-10 of the driver. Driver rating 3.7 stars out of 35952 votes. Take a look at the list of available driver updates. 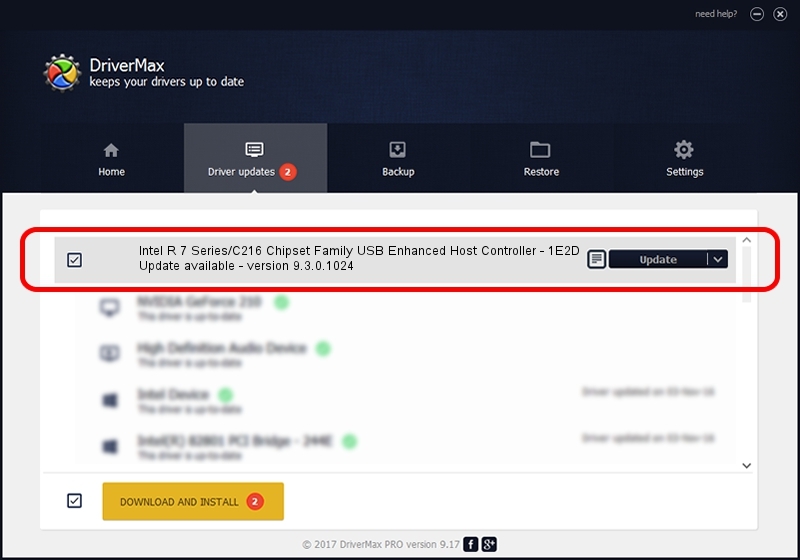 Scroll the list down until you locate the Intel Intel R 7 Series/C216 Chipset Family USB Enhanced Host Controller - 1E2D driver. Click on Update.